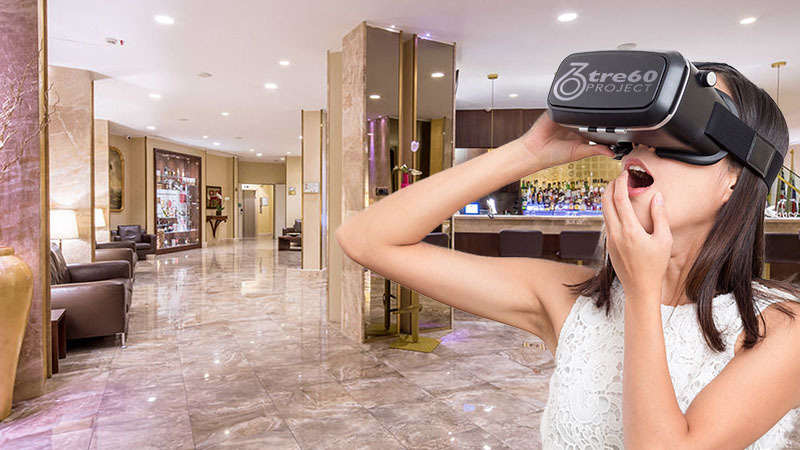 Don’t miss the chance to discover Hotel Galles from the future, our 4-star hotel in the center of Milan, through an immersive and emotional 360° 6K 3D video with spatial audio. Let yourself be virtually guided by the voice of our staff and discover all the areas of our Hotel, from the lobby to the rooms, from the swimming pool to the restaurant and then let’s end the tour with a panoramic flight at sunset from our terraces on the 8th floor. With any VR viewer, the experience is totally immersive and engaging. You can look in any direction, always having the perception of where you are thanks to the spatial audio (so called ambisonic) that will help you to understand where the sounds and voices come from. A new and innovative experience that will introduce you the hotel to make you feel at home even during your first stay. We recommend watching the video with your smartphone by connecting directly with the Youtube app or it will be better if you could use a VR viewer to enjoy the best from this experience. If you are interested in discovering more details about this type of video contact TornaghiPhoto who has created it for us.